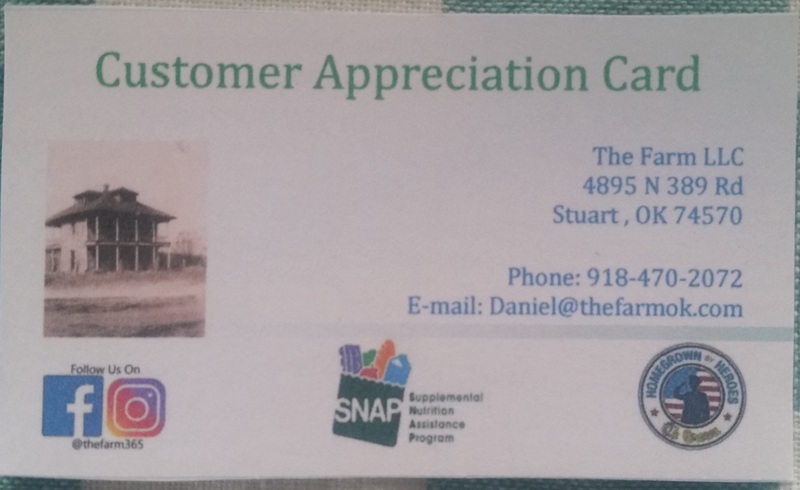 Beginning soon The Farm LLC will start a customer appreciation program for our regular customers. 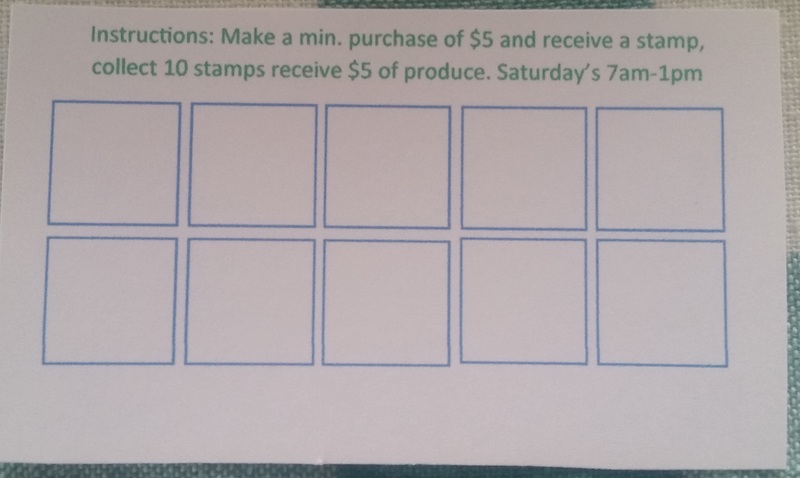 We will begin handing out customer appreciation cards to show that we appreciate them as customers. The Farm LLC wants to show that we appreciate our customers for shopping with us. This is new for us and our the farmers market, we will be the only vendors at the Pittsburg County Farmer’s Market doing this. If this is successfull we hope that other vendors will begin participating in customer aprreciation programs. The Farm LLC has been busy planting summer crops and harvesting the cool weather crops we already have. At the moment we have Salad mix, Kale, turnips, mustard greens, fresh dill, rosemary, oregano, and parsley. We also have a lots of bedding plants for those that love to grow thier own gardens. Our bedding plants consists of Tomatoes like Celebrity, Better Boy, Big Boy, and Supper Sweet 100; we have crook neck squash, straight neck squash, and zucchinni; We also have marketmore cucumbers. Later we will have eggplants and pepper plants to sell. We do have beets and leeks when available. Come by and visit with us at the Pittsburg County Farmer’s Market on Saturdays between 7:00 am and 1:00 pm. Even if you are not buying we are there and would love to talk to you. If you have a question about what we do on our farm or a question about your own garden we are there for you. I am a Master Gardener for Pittsburg County and more than willing to help out with problems you are having with your vegetables. We are commited to helping others become successful gardeners. If you are in the area and want to personally see what we are doing here on the farm your more than welcome to come by and visit with us. We are always eager to show off our aquaponic system and gardening operation.